Expert Lookup is continually developed with ongoing improvements to usability and security. What is on the roadmap for 2019? A known expert didn’t come up in the results set? 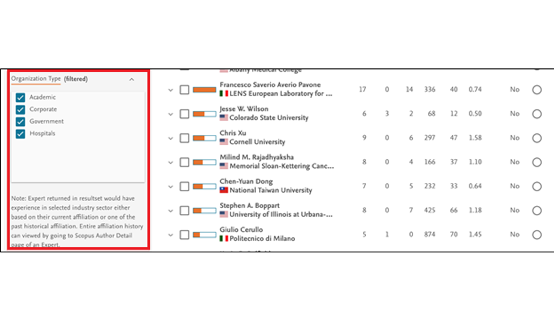 No problem—use the Click here to evaluate an Expert you may know feature to locate the Scopus Author Profile. The February release of Expert Lookup is centered on enhanced thesaurus, matching and usability. 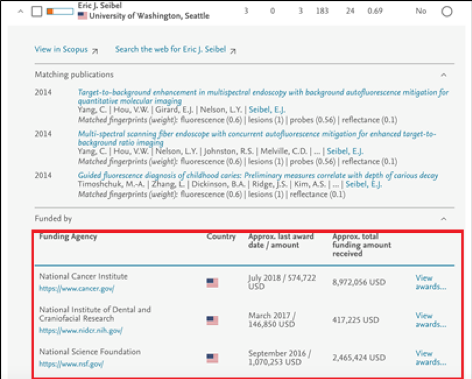 This release provided functionality for sorting by Principal Investigator. 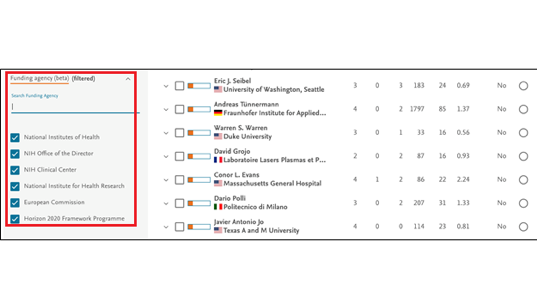 The April 2017 release of Expert Lookup adds new functionalities for fingerprinting and workspaces. 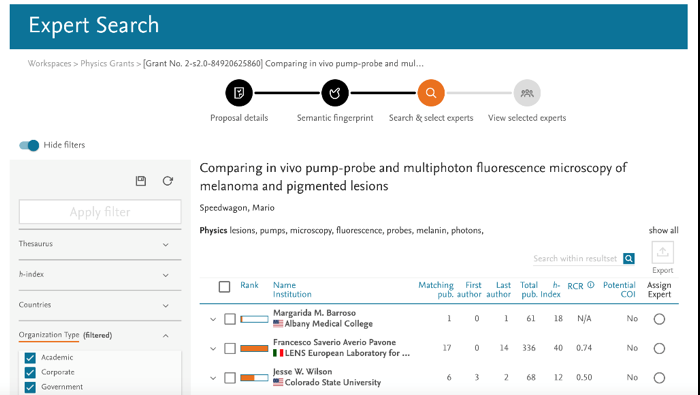 The April 2017 release of Expert Lookup enables users to see proposal details while reviewing fingerprints, to create multiple versions of fingerprints for an abstract, see proposal fingerprints in Expert Search results, create personalized workspaces and integrate the application with other systems. The November 2016 release of Expert Lookup adds many new customizable features to facilitate the customer experience. This release increased its usability with six updates to the tool and improvements in navigation within a workspace. 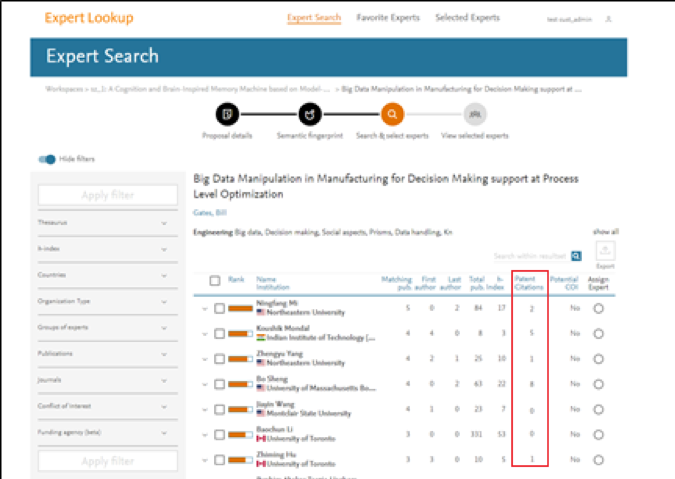 In August 2016, Expert Lookup released four new features that make finding a scientific expert easier than ever. This release provides protection for abstracts that have not been published and improves the user experience with enhanced export functions. The April release of Expert Lookup is centered on improved security and enhanced usability.